Provides safe handling and anti-static protection for most 2.5in hard drives. 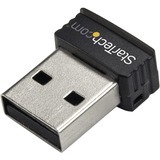 The USB150WN1X1 USB 802.11N Mini Wireless Network Adapter allows almost any USB-enabled desktop, laptop or netbook computer system to connect to 'n', 'g' or 'b' wireless networks. 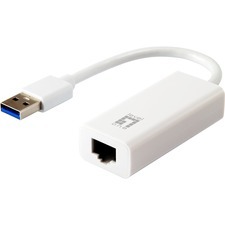 Using a 1T1R (1 Transmitter/1 Receiver) design over the 2.4GHz frequency in an extremely compact form factor, the USB adapter is capable of reaching up to 150Mbps over an 802.11n network while taking up minimal space. Backward compatible with 802.11b/g networks (11/54Mbps), this adapter is a versatile wireless networking solution.